What’s the first thing that comes to your mind when you hear any good news? Sweets. Isn’t it? From time immemorial, sweet has been the taste of festivities and celebrations in India. Today, these sweet-tooth delights mark not just celebrations, but also every special occasion. Without sweet dishes, no Indian meal is said to be complete. However these days, people, specially those who are very conscious about their health, avoid consuming sweets. The simple reason of their abstinence from sweets is that the excess of it can cause many health problems. Due to this, natural sweetness is gradually going away from our food. In the absence of sugar, to give taste buds the same sweet delight, we add artificial sweeteners to sweet dishes. But, these artificial sweeteners add only sweetness, but no minerals, vitamins and proteins. 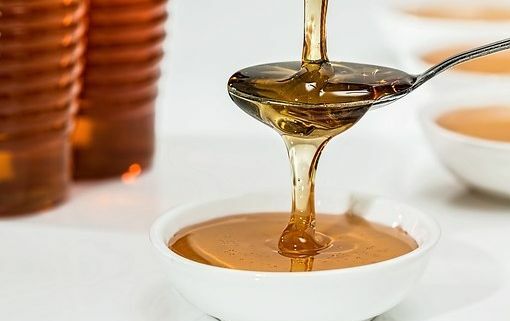 Instead, if we use natural sweeteners, we also add multiple minerals like phosphorus, potassium and magnesium; vitamins, namely A and C; and sometimes even proteins to our food and beverages rather than just the flavour. Honey is one such natural sweetener. One of the oldest known sweeteners, honey is delicious in taste as well as good for health. It is a rich source of carbohydrates, which provide strength and energy to our body. Also, it naturally enhances the endurance of our body and reduces fatigue. That’s the reason why, honey is one of the essential elements of an athlete’s diet. It helps in boosting the performance and keeps them healthy. Thanks to the honeybee, honey is also enriched with other medicinal properties. It strengthens the immunity system of our body and helps us fight many diseases and stay healthy. It is a great remedy for ailments like cuts, burns, cough, sore throat and hangovers. Its anti-bacterial properties make it a very effective moisturizer and, if applied regularly, it nourishes the skin making it smooth and soft. So honey, next time when you feel like having something sweet, go for honey! https://www.endurasupplements.com/wp-content/uploads/2018/09/honey-1006972__340.jpg 340 510 thecodeblaster https://www.endurasupplements.com/wp-content/uploads/2018/09/logo.png thecodeblaster2018-09-14 15:54:512018-09-20 13:19:41Honey, it's healthy!